The MaterialsHub group creates tools centered around atomic modeling of diffusion and defects. 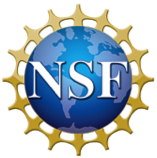 Our tool development is funded through the NSF Software Infrastructure for Sustained Innovation program award number 1148011. For other software and tools, see the University of Wisconsin-Madison Computational Materials Group webpage.